Adams County, Pennsylvania, is located in the south central part of the state between populous Mennonite settlements, with York-Lancaster counties on the east, Franklin (Pennsylvania)-Washington (Maryland) counties on the west. In the 1950s the Mennonites resided primarily in the western portion near the area of fruit growing and processing in which many were engaged. The three Mennonite churches of the county all had a common origin. The Mummasburg, Pennsylvania, congregation, dates back to about 1800. The Fairfield, Pennsylvania, congregation was organized in 1927, after a division from the Mummasburg congregation. In 2006 it had a membership of forty. The Bethel congregation at Mummasburg was organized in 1939. In 2006 it had eighty-four members. Musselman, Howard Y. "Adams County (Pennsylvania, USA)." Global Anabaptist Mennonite Encyclopedia Online. 1955. Web. 23 Apr 2019. http://gameo.org/index.php?title=Adams_County_(Pennsylvania,_USA)&oldid=90722. Musselman, Howard Y. (1955). Adams County (Pennsylvania, USA). Global Anabaptist Mennonite Encyclopedia Online. 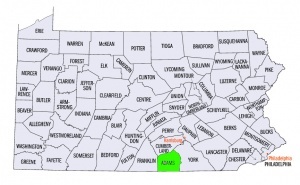 Retrieved 23 April 2019, from http://gameo.org/index.php?title=Adams_County_(Pennsylvania,_USA)&oldid=90722. This page was last modified on 23 August 2013, at 13:50.